Today it’s 5 degrees and windy. I can’t lie, I’m suffering from some serious cabin fever here. I cannot wait any longer for some decent weather. I just want to get outside for a walk and feel the warmth of the sun. I want to get up in the morning on my day off and wander out onto the balcony to water the plants. Looking outside from my spot on the couch, all I see is grey sky and bags of partially frozen dirt from last year’s balcony harvest. We’re still deciding what to plant this year (especially considering the success of our tomatoes! ), but the longer this cold weather persists: the shorter our summer crop will be. -Cream together the butter and sugar until pale and fluffy. -Add the egg and the apple sauce and paddle until smooth. -Whisk together all of the dry ingredients in a separate bowl, then add to the mixing bowl and paddle on low speed until just combined. Do not overmix. 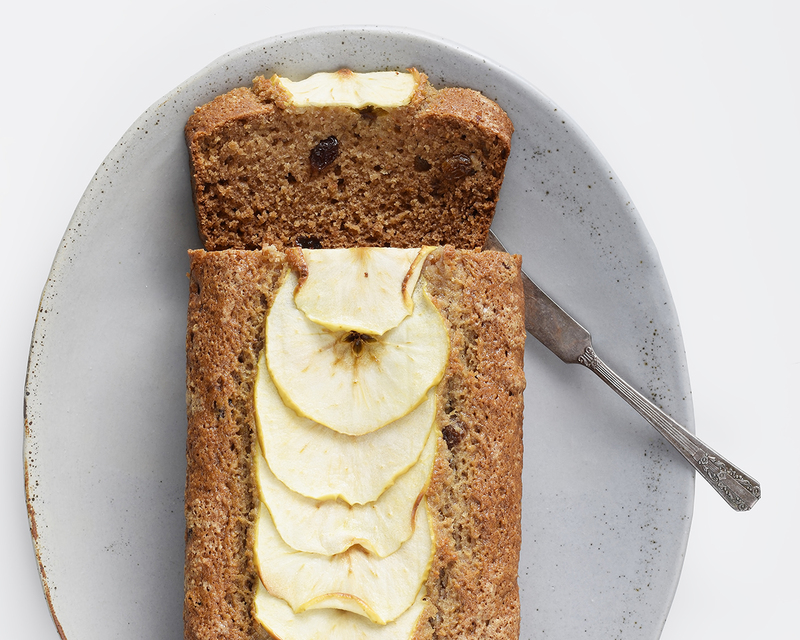 -Pour the batter into a prepared baking loaf pan and top with some of the thinly sliced apple rounds. Sprinkle a little sugar across the apples and bake for at least 45 minutes, or until the center bounces back when pressed lightly with your finger. 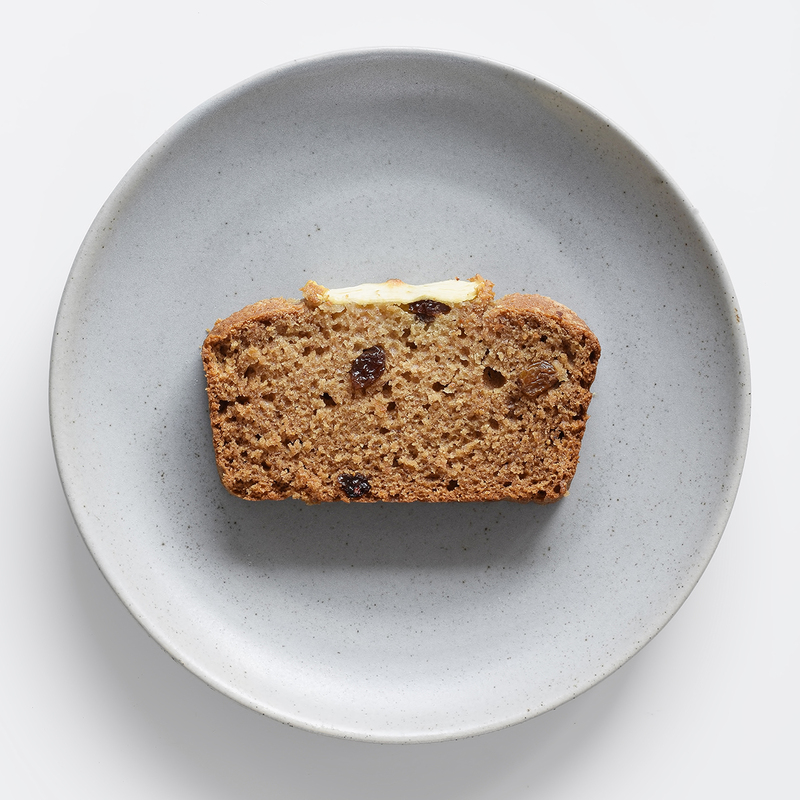 -Once baked allow the loaf to sit in the baking pan for about 10 minutes, then gently remove it from the pan and move it to a wire cooling rack to come to room temperature. -Slice up, top with a little honey, and enjoy! This looks delicious. I’m not going to tell you that it’s sunny and about 85 degrees F. here in Florida. Thanks for posting this! Thanks for taking the time to comment, have a great afternoon! Mmm look so good, especially with a cup of tea or coffee! That’s exactly what I had with it. A nice cup of Chai! Thanks Deanna! Glad to know it’s not just us suffering from bad weather! Thanks for commenting, have a great day! 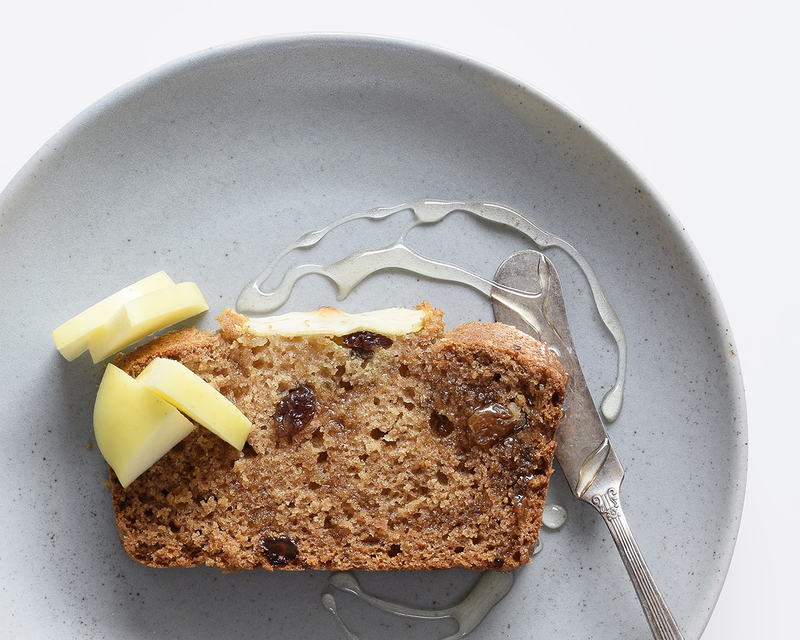 I love quick bread recipes.. and this is one I definitely need to make. Just beautiful! 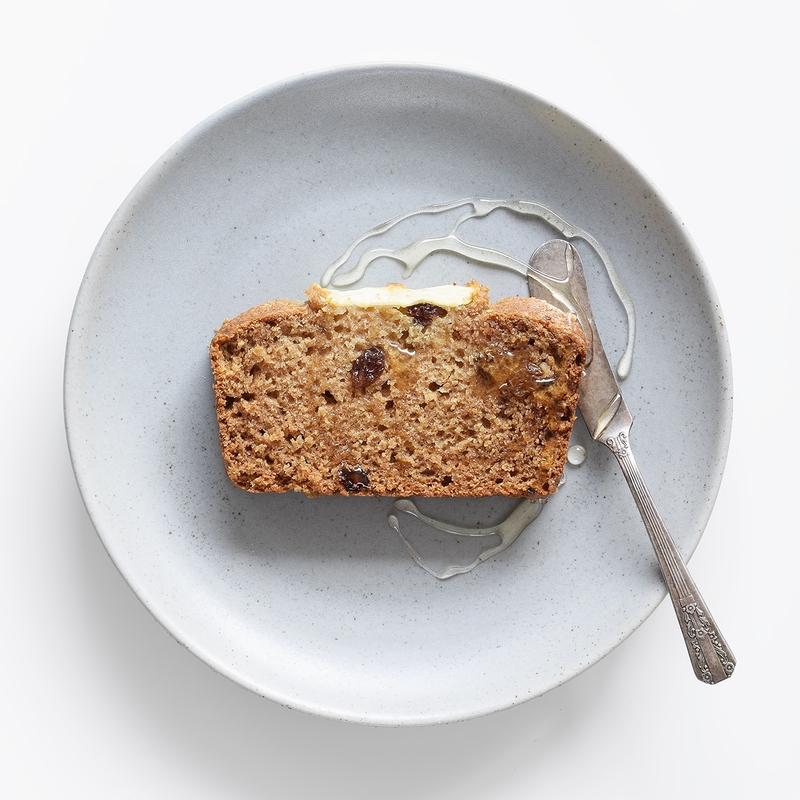 Gorgeous photos and love the combo of ginger, cinnamon and raisins!